Are you thinking about going back to school? If so, you are not alone. A recent analysis of U.S. Department of Education data by Mark Kantrowitz, publisher of FinAid.org and FastWeb.com, found that the average annual increase in total college enrollment during a recession is 3.7 times more than increases in between recessions. Kantrowitz notes that unemployment is the key motivator for people to enroll in college during tough economic times. "When the job market is tight," he writes, "people return to college to get training and skills to make themselves more marketable to prospective employers." When people are unemployed or considering a career change, there are a variety of reasons they may think about going back to school. Some people assume that they won't be able to make a desired change without further formal education. Others, confused about what type of job they want, believe that the college course work will help them decide which career path to pursue. And, many imagine that a new degree will make them more marketable in general and provide more job security. Jumping into an educational program isn't always the best strategy, however. Here are some questions to help you determine if a new degree is the right choice for you at this point in your life. 1) Why do you want to earn a new degree or certificate? Good reason: You have a specific job target and you KNOW it requires the degree (or certificate) you want to pursue, or that the degree will be a great asset in the field. Example: You want to be a CPA. You have been working in the accounting field, know it is a good fit, and decide to complete your bachelor's degree. Questionable reason: You don't like your present job (or didn't like your former work) and you want to do something else. You have always been interested in _____ (psychology, for example), so you decide to get a degree in it in hopes of figuring out an interesting career path. Recommendation: Do some good career planning to decide on a new career direction. Then you can decide if education is needed, and if so, what type of education will best prepare you for the new field or job. (See the article "Career Master Planning" for more information about how to do good career planning.) 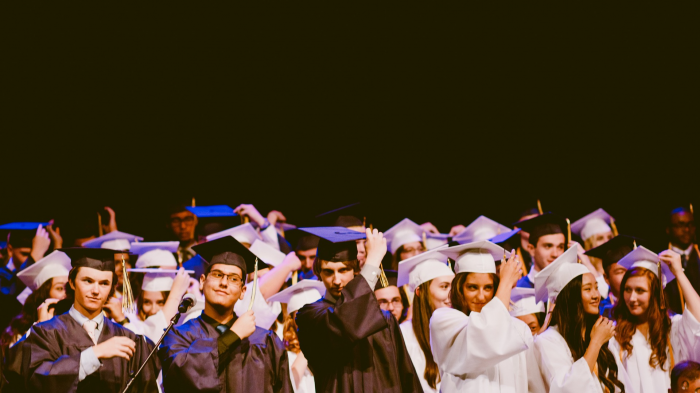 If you earn a degree without knowing how you want to use it, there's a high likelihood you will end up with a new diploma in hand, but still be confused about which career path to pursue. 2) Are you sure the degree program you are considering is the best one for your particular career goal? Often times people make educational decisions based on assumptions, such as "If I want to get ahead in the business world, I need an MBA." Recommendation: Conduct informational interviews (see the article, "How to Explore Careers that Fit Your Design") with at least three people who are doing the type of work you want to get into (and/or who are working in the type of organization you are targeting). Ask them what type of educational path they would recommend for the job you are pursuing, what particular experiences or coursework to include in your degree program, and which schools they would recommend (and why). 3) Which school will best meet your needs? There are a variety of educational options available to you. Think about what you would ideally like, and then do your homework on school options. For example, would you prefer to go to a Christian institution, learning from Christian professors and gaining insights on how to integrate your faith with the subject matter you are studying? Other considerations in choosing a school include the quality of the program it offers, the methods of instruction (For example, do you prefer a theoretical, experiential or combination approach in learning? ), the cost, the scheduling of courses(i.e., Do they offer courses when you can take them or do they offer distance learning alternatives? ), and the opportunities for internshipsand other "real-world" experiences in the field. Recommendation: School is a large investment of money and time. Find out which schools offer the program you want. Distance learning programs give you many options previously unavailable. After researching schools and programs, talk to professors and graduates of the program you are considering before making a final decision. You should then have enough information to mentally "try on" the program to see how well it will fit your interests, learning style, schedule and expectations. Education is a good thing. But your choice of an educational program should flow out of your career/life plan. When chosen wisely, a degree can give you a large return on your investment and help you to be a good steward of the gifts and abilities God has entrusted to you.